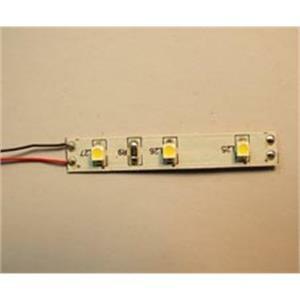 A prewired strip of 3 Warm White LEDs with a self adhesive back. Just peel off the backing strip, stick to the ceilings etc. and connect to 12V DC using the pre-wired leads. The LEDs have a wide viewing angle giving an even illumination of the interior. The length of each strip is 50mm and the width is 8mm.